Slimming, antirhume, good for circulation, anti-stress ... every essential oil therapeutic properties. And flavors! A real passport for a kitchen well-being in everyday life, extremely simple and tasty. All the benefits of essential oils in a simple and delicious food! 26 essential oils used in recipes and for each: his magical power, its taste, fragrance and use any dish (meat, fish ...). And of course, 100 recipes for easy and effective use of aromatherapy in any indulgence: a cream of carrot cumin antioxidant (cover recipe), white spicy chicken for a flat stomach, penne all green anti-retention water, a stress custard with mandarin ... Every dish its health benefits! Take care of your health and your line through the aromatic cuisine! Hypermagiques of ideas for the kitchen all day! Danièle Festy is a pharmacist. Passionate about food, essential oils specialist, accustomed for years to probiotics and nutritional supplements that really improve the quality of life she has led for more than forty years his pharmacy. 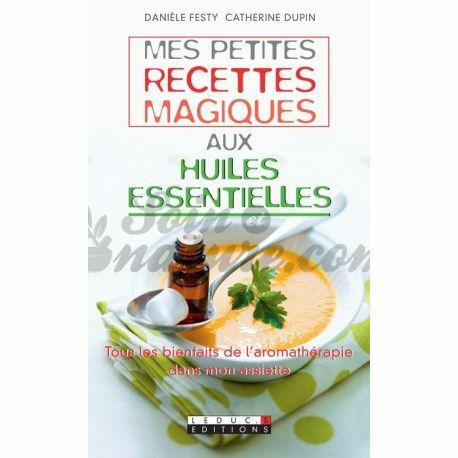 She now spends part of his time to offer consultations, conferences and training aroma throughout France and Belgium (Brussels), to meet his readers, and the other to write practical books for the general public health . Real "coach pharmacist," she accompanies you day after day, to ease small and great pain, cure the ills of the daily whole family. In her books, she follows one logical and one purpose only: to care, help improve the quality of life. His books are not equivalent. They accompany you every day, you help to naturally protect your loved ones, your children, yourself, and to find this precious commodity of health. "Health is a balance. My works published by Editions Leduc.s are collections of tips to help you find it. Firstly, trying to understand your troubles, for better prevention, and of course treat. Then, my experience has taught me that in 80% of cases, that is to say, the pain every day, it was possible to get better, even though, adjusting his plate, improving its lifestyle, using a plant or a simple formula based on essential oils tailored and / or using a targeted probiotic. The dual objective: maximum efficiency and tolerance. Headache, colds, indigestion, nothing more banal, but these minor ailments poison our lives. We should all learn to deal effectively and naturally. " 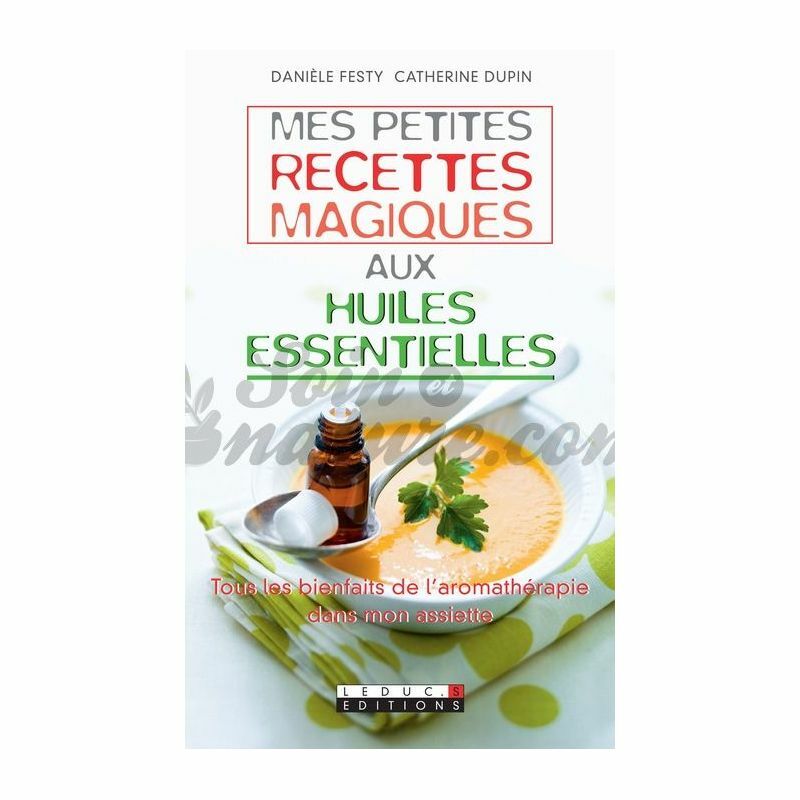 Catherine Dupin is an avid user of essential oils and a fan of gourmet cuisine, healthy and express everyday. She is also the mother of a large family. To find your way among all the alternative medicines, a little reading can be useful for you. Acid-base balance, elimination of toxins, balance between deficiencies and overloads ... will have no more secrets for you. From homeopathy to meditation, from ayurveda to kinesiology, from sophrology to osteopathy, natural medicine covers many areas and techniques that can improve your daily health. Acupressure, acupuncture, shiatsu, magnetotherapy, essential oils, aromatherapy, osteopathy, traditional Chinese medicine ... there are many alternative medicines. Find our selection of the best books to discover the benefits of the most effective preparations.